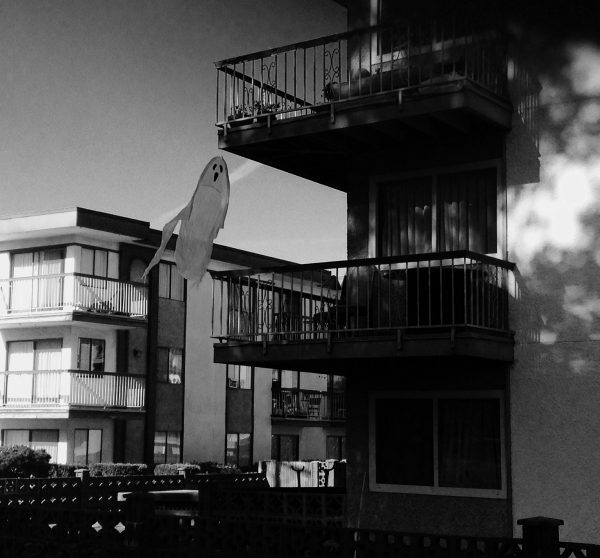 A ghostly figure appeared on the second floor of our apartment complex. Should I be scared especially it’s situated right where I garden and just below my neighbor who works for the funeral parlor? This ghost must be following her. My neighbor and I have exchanged stories about a ghost or ghosts haunting at the funeral. She is more peeved than scared actually when it happens because it interferes having to take care of dead bodies. Maybe the spirit is jealous wanting to be noticed. Ghost stories ended when she elevated herself to a funeral director. That is one scary position having to deal with grieving parties. I have my fair share of ghostly encounters. This one happened when I stayed at Mount Carmel Monastery at Niagara Fall for a group retreat. The monastery is situated on top of the hill with a picturesque view of Niagara Falls built in 1875 to serve as a hospice and spiritual center. Spirituality prevails, and the hospice ended. The beauty of this place is breathtaking, and I could hear the roaring waters from the top. The touristy fall can easily be reached on foot down a small ravine that I took as a shortcut, crossing a railroad track and I’m there. The retreat itself was well attended. Retreatants have their individual bedroom. The washrooms are down the hallway. This is one thing that I don’t like about retreat centers; there is no ensuite washroom. The rest of my stay remained calm, made myself at home at the monastery, checked out the whole building that is usually off-limits to visitors and had a prayerful stay. Years went by, I completely forgot my paranormal experience until my sister told me she is going for a retreat at Mount Carmel. Hearing this, the memory came flooding back and warned her about the ghost. She, too, had an encounter, survived it and received enriching spiritual direction at Mount Carmel Monastery. Ghost stories never die, it’s best told at night around the campfire and when Halloween comes around. This entry was posted in Story and tagged Daily Inkling, Ghost, Halloween, Inklings, Retreat, spiritual direction, Story by Perpetua. Bookmark the permalink. Hi.. just shared my third ghost story..We seem to be alone in this room!